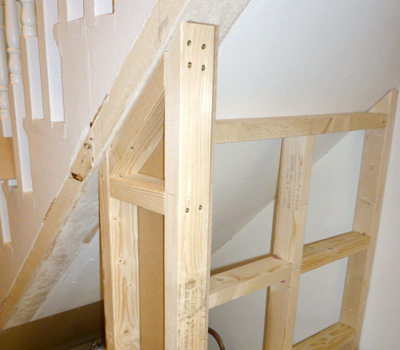 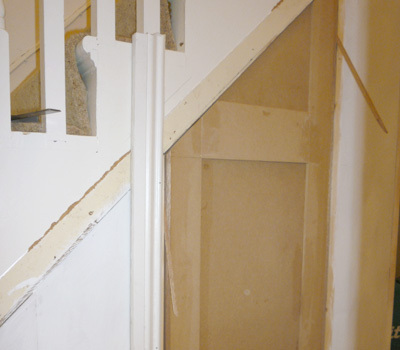 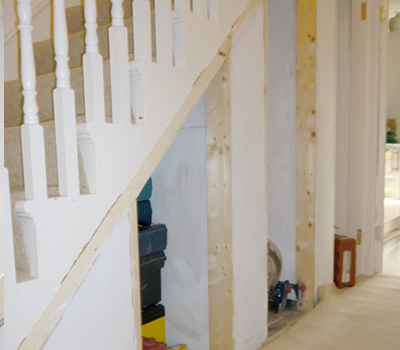 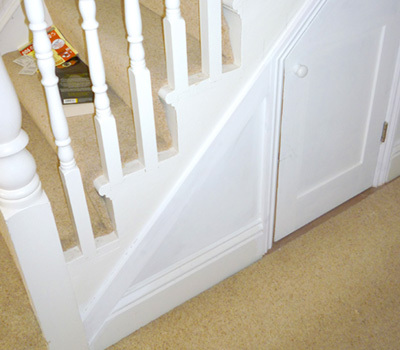 In order to make full use of the under stair area the client commissioned custom made cupboard/cloak room. 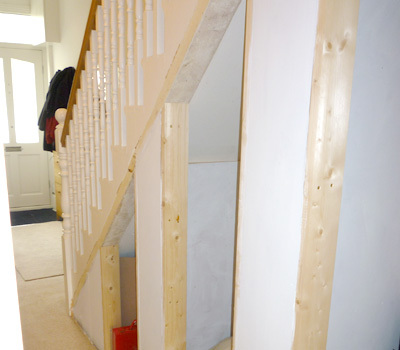 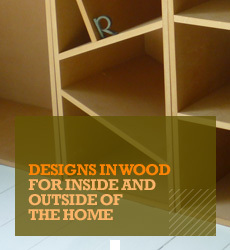 A soft wood and MDF carcass was constructed with stud partition walls to divide the area into three sections. 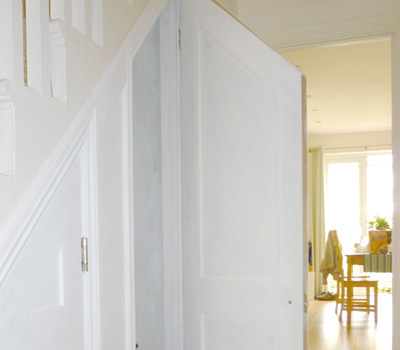 Three purpose made, two panel, Victorian style doors were created to complete the project. 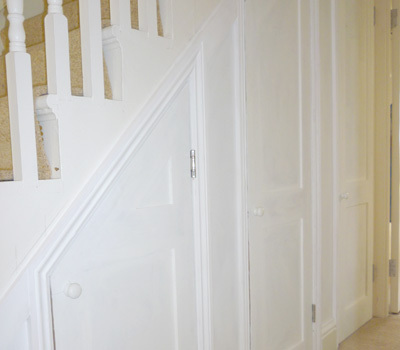 The cost also included a base coat of primer.